2nd Confederate Flag. When the wind was still, this flag looked too much like a surender flag. It did not last long. 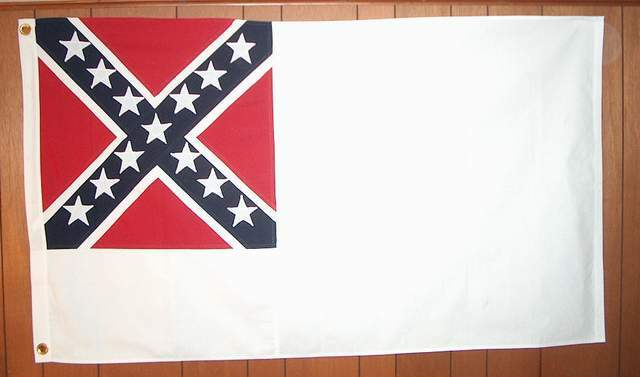 Was replaced by the 3rd Confederate Flag (same flag except for red tail). 3' X 5' cotton, cut, & sewn. Satisfaction guaranteed. Fully refundable within 14 days of reciept.